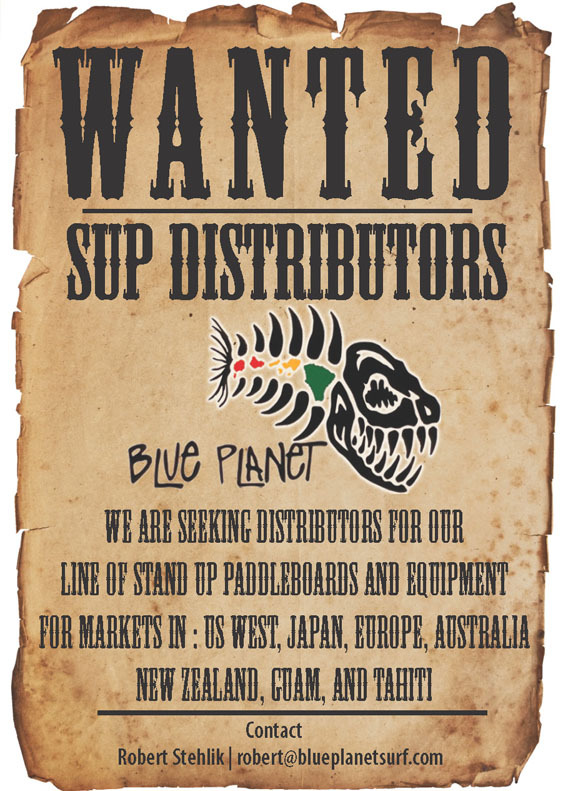 Blue Planet Surf is looking for distribution partners to bring the line of 2014 SUP boards and equipment to an international market. We are looking for partners with distribution experience in the surf/SUP market. Merchandise will be supplied by container from the factory directly to the distributor. Exclusive distribution agreements are currently available for these markets: US West, Europe, Japan, Australia, New Zealand, Tahiti, Guam.